With today’s post, we mark the official closure of this year’s edition of the international student project Insight China. Our delegation member, Severin Jörg, has compiled a video with the highlights of our onsite trip earlier this year. Have a look and get insights into our company visits and other events in China. The new team for the 16th edition of Insight China has been nominated and as of today: “The stage is yours!” We are wishing you all much success and energy for a great challenge! 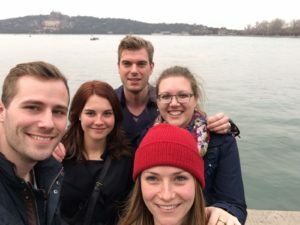 This year’s project team, Olivier Meyer, Meret Morin, and Florian Georg, as well as the PR Team, Amanda Bögli, and Valentina Heiz, thank you all for your active involvement in this project.